Shocking but true, as the world of crypto-currency expands, so does the uses for trading and using the digital currency for Booking Private Flights. Cue in the private aviation business. 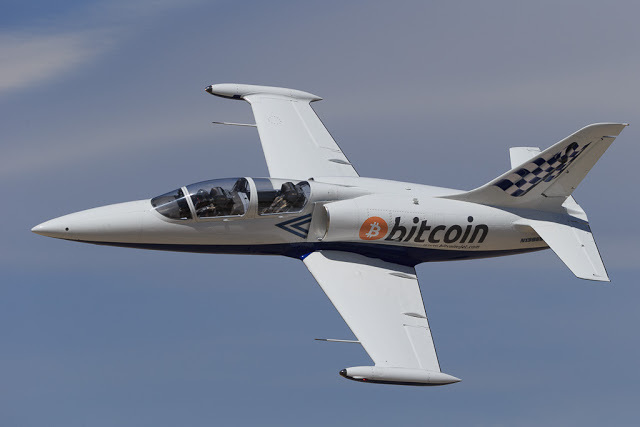 This trend of booking private flights using Bitcoin has spiked over the last three months, and if we look at statistics, the trend was very much client driven, with more and more people asking to pay for items (such as flights) in Bitcoin. And as the demand for Bitcoin continues to rise, and as more people become millionaires because of Bitcoin. We are also witnessing more people being able to afford flying private, rather than go through the hassles of commercial airlines. Other crypto-currencies like Ripple and Tron have not yet been accepted for things such as private flights, but it is only a matter of time before our society all turns to these digital forms of payment for everything, including every day items like groceries. Once we see companies like Alibaba and Amazon start allowing transactions in crypto-currency, the big boom will hit. Flying on a private jet is truly “living the dream” and in an effort to improve customer service, the private jet company Monarch Air Group has chosen to add Bitcoin as a payment method. Using Bitcoin or, I would argue Litecoin (like Bitcoin but faster), to pay for things like booking flights, means that you don’t even need to give your real name during the transaction, which may be an advantage for some customers. Monarch Air Group projects that during 2018 approximately between 3 to 5 percent of flights will be booked using Bitcoin as a payment mechanism.